over the sugar palms and their untroubled leaves. 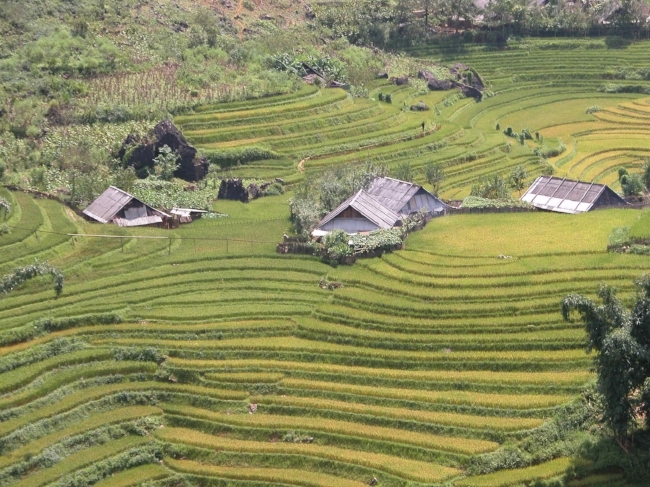 The speaker moves from a description of houses next to rice farms, but an incorrect detail spurs her mind to take over, correcting herself from saying “no two brick houses” to “no three.” She revises her description and subsequently turns her sight inward. The ironic command to “See” brings us away from sight and instead to the “half-sleep” and “rain” that actually prevent her from seeing. "See" does not just tell you to see but also to comprehend, engaging the faculties that distract from vision in Xie’s poetry and enabling what doesn't appear to be there to be seen. In a visually dominant medium, print poetry, in a visually dominated culture where all one seems to do is look, often failing to see, these are critical subversions. it is an eye because it sees you. The opening words afford two readings. They can read as “the eye [that] you see” but also “the eye[,] you see[,]” collapsing the distinction the actual object of sight and the command to see that object into one phrase. This double meaning was unavailable in Machado’s original Spanish line “El ojo que ves no es,” which only allows the former reading of the line. In this way, Xie’s use of the translation by Robert Bly linguistically enacts the kind of intersubjective interaction that Machado discusses in his poem. It is as though Machado’s language functions like an eye that is not only seen but also sees, coming to life and providing new perspectives as it translates to new contexts. Xie explores these moments of creativity when the eye intersects with the outer world. After the initial poem, Xie uses a variety of forms and perspectives throughout the book. They are all tied together by the way our visual experience of the world enforces, challenges, and shapes our understanding of it. In these phenomenological investigations, the eye’s punning relation to our identity (the ‘I’) is what’s at stake. By combining vision and cognition in her unique way, Xie explores how the way we see the world constructs the way the world sees us. Here, there’s no logic to melons and spring onions exchanging hands. No rhythm to men’s briefs clothes-pinned to the fire escape. Retirees beneath the Manhattan Bridge leak hearsay. water each evening before bedtime. But every handful of weeks she lapses. As with much of Xie’s poetry, these lines revel in their inability to capture every chaotic detail, which are ordered in any case by “no logic.” It’s not a documentary technique but rather impressionistic, granting specific instances that provide a sense of what’s scene. 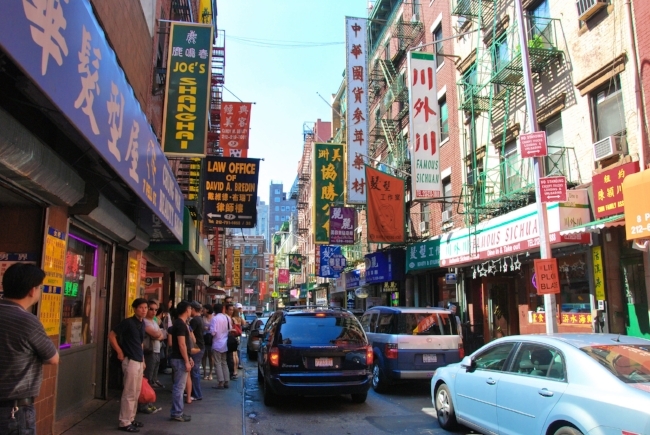 She moves rapidly from the singular “Manhattan Bridge” to the anonymous “woman in Apartment #18 on Bayard.” In the between of these two details, Xie’s double line break gestures to all the other unmentioned details, moments, and people that make up the city. Even the apartment number, 18, implicitly gestures to the prior seventeen apartments that we don’t see here. Putting that anonymous apartment “on Bayard” shows how many other streets full of similarly innumerable apartment buildings make up the full experience of this neighborhood. Uncles tipple wine on the streets of Mott and Bayard. Night shifts meet day shifts in passing. Sweat seasons the body that labors. And in each noodle shop, bowls dusted with salt. For all the wine tippling, Xie reveals the labor that makes that leisure possible. The night and day crews even pass each other in a harmonious, almost choreographed, shift change. The visceral experience of these sweaty bodies finds its partner in the salt-dusted noodle bowls. But the sweat does not just match the salty and sensory experience: it also gestures toward the labor that put the salt there in the first place. 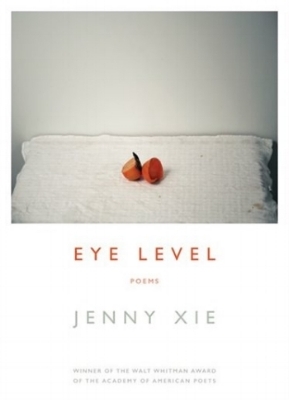 Even though vision’s bare information hardly affords the depth of knowledge that reveals the labor system running New York City, Xie’s poetry shows how a second glance can reveal the world’s more intricate functions in surprising ways. She has to go at it from the side. She has to keep circling. This thought closes “Visual Orders,” as Xie dramatizes sight’s repeated avoidance of its object. There is hope in this sort of indirection, as Xie gestures toward a certain understanding that can only be found in the constant circling: in the act of not seeing. This is ultimately the sentiment on which Xie’s book rests. The penultimate poem “Ongoing” concludes: “She had trained herself to look for answers at eye level, / but they were lower, they were changing all the time.” “Eye level” is already a curious way to describe something. There is no one eye level; it’s always relational and depends on where the viewer is. Xie’s poetry searches beyond just relationality, trying to find the answers that exist outside it. I don’t know if she finds them, but she certainly points us much of the way.